The 2019 tournament sees the field expanded to 16 nations for the first time. This has served to dilute the pool of teams, but the relative strength of the groups has proved to be uneven. Costa Rica should cruise through, and Mexico should have its way as well. As for the U.S., it will face Guyana, Trinidad & Tobago and Panama in arguably the most difficult group. The Americans should progress, but having failed to qualify for the most recent World Cup, nothing can be taken for granted. Here's how the entire draw shakes out. 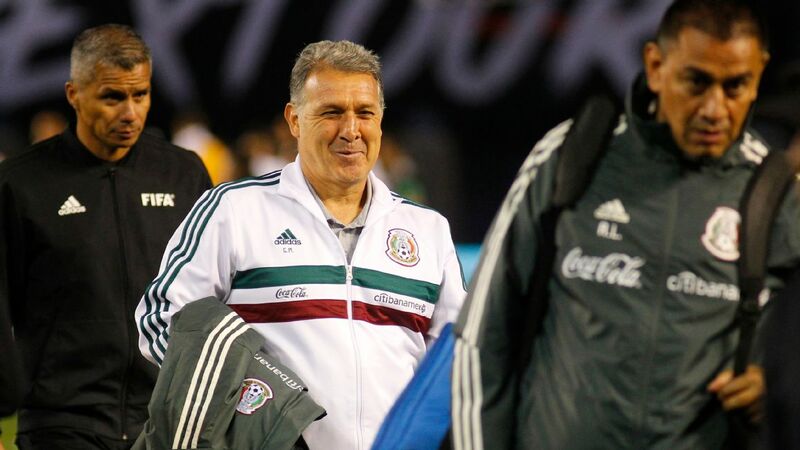 Tata Martino knows about pressure and expectations will run high for Mexico. Mexico enters the tournament as heavy favorites, though El Tri is on the more difficult side of the bracket that includes Costa Rica. As always, being the favorite comes with pressure, though new manager Tata Martino's experience with Argentina -- and Barcelona -- makes him plenty familiar with high expectations. Long the region's sleeping giant, Canada could be on the brink of playing a more prominent role in the Gold Cup. The ageless Atiba Hutchinson still marshals the midfield for the Reds, but young players like LAFC midfielder Mark-Anthony Kaye and Bayern Munich attacker Alphonso Davies could lead John Herdman's side to brighter days. Anyone who thinks Martinique is a pushover need only look back to the last edition of the tournament, when Les Matinino gave the U.S. all it could handle before falling 3-2. Martinique also impressed in CONCACAF Nations League qualifying with a perfect record. 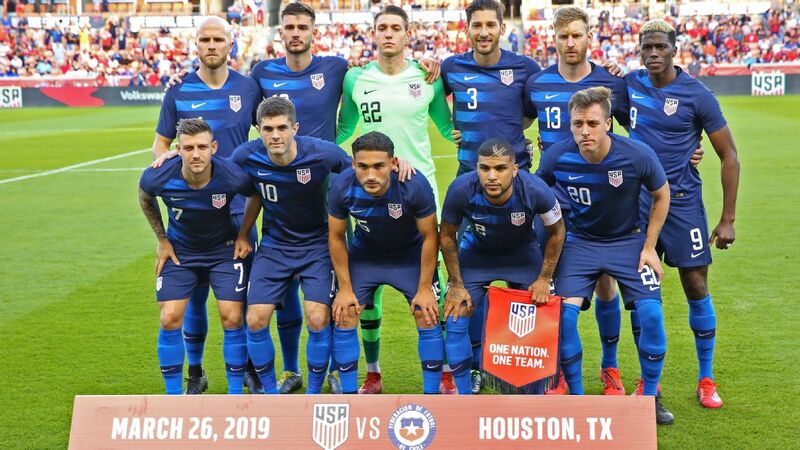 Kevin Parsemain, who scored both goals against the U.S. two years ago, remains the team's go-to striker, with Seattle Sounders defender Jordy Delem another familiar name. The Lions of the Caribbean have produced some impressive players during their history -- current Minnesota United midfielder Ozzie Alonso among them -- though defections have thinned their ranks. In 2019, only a 2-1 loss to Haiti marred Cuba's record, with Yordan Santa Cruz's goals proving crucial to the team's Gold Cup qualification effort. Canada looks to be a team on the up. That sentiment will be tested in the June 19 encounter with El Tri. Both teams will be eager to avoid a quarterfinal encounter with likely Group B winners Costa Rica. Mexico and Canada ought to have little trouble progressing. Costa Rica ought to be able to cruise through its Gold Cup group, but Mexico could later await. The generation that featured Bryan Ruiz and Celso Borges has passed the dreaded age of 30, but they still have some fuel in the tank, and new manager Gustavo Matosas has other talent at his disposal, including forward Joel Campbell as well as FC Cincinnati midfielder Allan Cruz. The Ticos likely will have to get past Mexico if they are to reach the final for the first time since 2002. If the recent qualifying phase for the CONCACAF Nations League is anything to go by, times may be changing for the better for Haiti. Les Grenadiers won all four of its games and finished in top spot, edging Canada on the goals-scored tiebreaker. MLS fans will recognize New York Red Bulls midfielder Derrick Etienne Jr., with St. Mirren striker Duckens Nazon another player to watch. The Blue and Whites have qualified for the Gold Cup for the second tournament running, and given the relative weakness of the group, a spot in the knockout rounds is certainly possible. Juan Barrera, who plies his trade in Guatemala with Municipal, paced Nicaragua's qualifying effort with five goals. Gombey Warriors will be making their inaugural appearance at the Gold Cup after finishing fifth in CONCACAF Nations League qualifying. Former New York Red Bull and current Charleston Battery midfielder Zeiko Lewis and Queens Park Rangers forward Nahki Wells are the most recognizable names in manager Kyle Lightbourne's squad. The battle for second place in the group is wide open, and this match will go far in determining who claims it. Costa Rica is winning this group, no problem. What's tougher to predict is who will finish second, though Haiti is likely to advance. Jamaica has been up and down in recent years, but they may be trending the right way at the right time. Having fallen short of the 2018 World Cup after a playoff loss to Australia, Los Catrachos have some rebuilding to do. New manager Fabian Coito joins after considerable time spent managing Uruguay's youth national teams, and the hope is that experience will come in handy in a side led by the Houston Dynamo trio of Maynor Figueroa, Alberth Elis, and Rommel Quioto. No team has been as wildly inconsistent within CONCACAF as the Reggae Boyz. Jamaica has reached the last two Gold Cup finals, but has been unable to translate that success into recent World Cup qualifying efforts, falling in the semifinal round during the 2018 cycle. Manager Theodore Whitmore can draw on a squad full of names familiar to MLS fans, including Philadelphia Union goalkeeper Andre Blake, New York Red Bulls defender Kemar Lawrence, and FC Cincinnati forward Darren Mattocks. Los Cuscatlecos claimed the last qualifying spot, edging out Montserrat on goal differential. El Salvador is still feeling the effects from the damage done by a match-fixing scandal in 2013, but it did manage to reach the Gold Cup quarterfinals in 2017, where it fell to the U.S. 2-0. Oscar Ceren's goals helped lead El Salvador in qualifying, and brother Darwin of the Houston Dynamo is another notable player. The reigning Caribbean Cup champions, Curacao makes its second consecutive appearance at the Gold Cup after exiting in the group stage in 2017. While the island nation boasts just 160,000 inhabitants, the team makes liberal use of its Dutch connections, including player/manager Cuco Martina, currently on loan with Feyenoord. Honduras and El Salvador engaged in the so-called Soccer War in 1969, though the conflict's roots ran much deeper than mere soccer matches. A peace treaty was signed in 1980, and the two sides have played each other numerous times since then, but the competition between the two neighbors is always intense. Jamaica's recent history in the Gold Cup has been positive, so look for the Reggae Boyz to join Honduras in the quarterfinals. 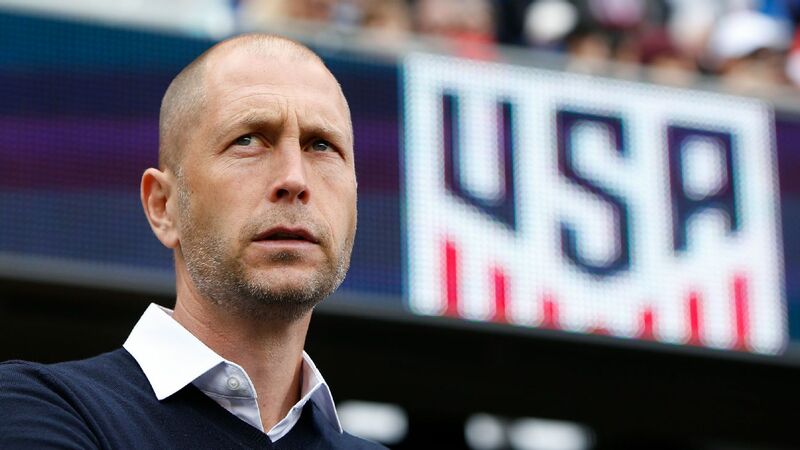 Gregg Berhalter enters his first major tournament in charge of the U.S. looking to start an exciting new era. The World Cup qualifying failure still weighs heavy, so there will pressure on this U.S. side to show that it has moved on. New manager Gregg Berhalter will get a taste of tournament intensity for the first time, as will a new generation of players, at least at senior level. And while results matter, observers will be just as concerned with how the team plays. Guyana is another side making its Gold Cup debut following its seventh-place finish among 34 countries in CONCACAF Nations League qualifying. The team is led by Philadelphia Union midfielder Warren Creavalle and FC Cincinnati forward Emery Welshman (currently on loan with Canadian Premier League side Forge FC). Los Canaleros' maiden voyage at the World Cup is now history. Manager Hernan Dario Gomez has departed, with former head coach Julio Dely Valdez returning on a temporary basis. With many in the aging squad having retired from international soccer, Valdez will be looking to the next generation. T&T will forever be remembered as the team that denied the U.S. a spot in the 2018 World Cup, but manager Dennis Lawrence is trying to construct a side that can do better than finishing at the bottom of the Hex. He has some experienced players in midfielder Khaleem Hyland and Daneil Cyrus, as well as former Seattle Sounders defender Joevin Jones. The Americans' tilt with Panama likely will decide the group, but no other game will be as fraught with emotion as the match against T&T. A victory won't amount to revenge -- there's only one place where that can happen -- but the U.S. will have a point to prove. The U.S. and Panama are the favorites to progress, and a rematch in the semifinals is certainly possible.